The Centaur BCI Balanced Fund invests in a mix of shares, bonds, property, cash and international investments. We utilise asset allocation and stock picking to try outperform the funds benchmark with lower risk. The fund has a medium risk profile and its inception date was the 1st July 2013. 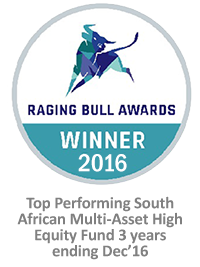 The Centaur BCI Balanced Fund targets real returns of at least 4% per annum with volatility no greater than 60% of the All Share Index. 25% JSE All Bond Index (ALBTR), 48% JSE Capped SWIX (J433T), 16% MSCI World (M1WO), 11% SteFI. Calculated over a 2 year rolling period. Require a tax efficient investment and have a medium risk profile. Annual fee: 1.40% per annum on the value of the fund. Performance fee: 12.50% above benchmark cap over rolling 2-years, capped at 1% p.a. The above fees are before VAT. Source: Maitland, Moneymate and Centaur, as at 31 March 2019. Past performance is not a reliable indicator of future returns. Investment performance is for illustrative purposes only and is calculated by taking actual initial fees and ongoing fees into account for amount shown with income reinvested on reinvestment dates. Annualised return is weighted average compound growth rate over the period measured. Inception Date: 01 July 2013. 1 Jul 2013 – 31 Oct 2018: 28% ALSI (J203T); 28% FINDI (J250T); 8% MSCI World Index; 30% JSE ALBI; 6% SA Repo rate. 1 Nov 2018 – Current: 25% JSE All Bond Index (ALBTR), 48% JSE Capped SWIX (J433T), 16% MSCI World (M1WO) and 11% SteFI. Calculated over a 2 year rolling period. Weekly standard deviation is the measure of how much an investment’s return varies from its average on an annualised basis. Highest and lowest calendar year performance since inception (at 31 Mar 2019): High 19.6 Low -5.4.